Str. 1-sub: Southwest corner of the basal platform. The stone alignments in the foreground indicate where the foundation of the original overlying pyramid once stood. 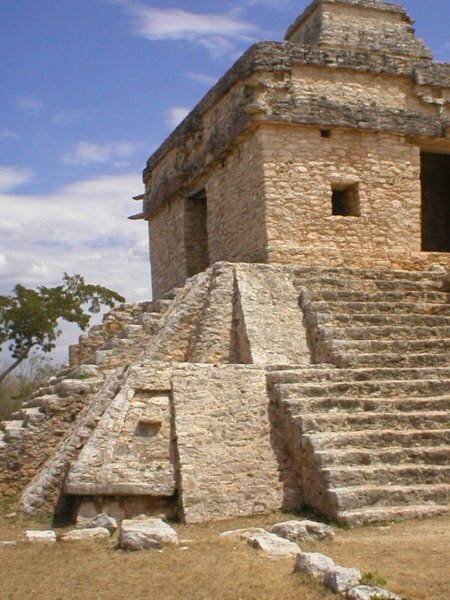 The temple you see today was once covered by the ancient Maya when they built another temple on top. Archaeologists removed this ruined structure to find the Temple of the Seven Dolls relatively intact.